With educational reform and Common Core being top issues in the 2016 election, several GOP presidential candidates attended a summit in New Hampshire on Wednesday where they stressed different options for how they plan to improve the educational system across America. The American Federation for Children, an organization that promotes school choice and advocates for school vouchers, partnered with The Seventy Four, a non-profit and non-partisan website that covers news about education, to host the 2015 New Hampshire Education Summit where experts in education reform and GOP presidential candidates spoke about reforming the educational system. “Today’s education summit is an unprecedented opportunity to have a serious, dedicated conversation on the issues impacting America’s 74 million children,” said co-founder and Editor-in-Chief of The SeventyFour, Campbell Brown. Several GOP presidential candidates spoke one-on-one with Brown on the topic of education reform, who appeared to forcefully and repetitively question the rejection of Common Core. Former Florida Gov. Jeb Bush stressed accountability in the educational system. Bush stated that aspects of education are “state by state issues, the federal government can be a partner in reform.” He said unions don’t support education reform because they don’t want teachers measured by student success. Brown asked Bush whom he looks to on guidance and advice in terms of education reform, and if he would name who he would choose as Secretary of Education if he is elected President. Carly Fiorina encouraged more creativity in the classroom. Fellow GOP presidential candidate Carly Fiorina spoke with Brown next on the topic of secondary education where she stressed that children need the ability to be creative. “We know that every child has vast potential…and the goal of this nation is to allow every single American regardless of their circumstances to find and use their God given gifts,” Fiorina stated, saying that is the first step in the process for education. Fiorina explained that if children live in a poor community, they are far less likely to get a quality education. She referenced a program, which existed at Hewlett-Packard, where the company reached into underprivileged communities to get involved with children who were interested in science, technology, engineering and math. Fiorina stressed that spending more money doesn’t necessarily improve the outcome – something she said is typical of big bureaucratic systems in Washington, D.C. – stressing the importance of looking at what works and what doesn’t work to improve America’s educational system. “You need to have some degree of accountability,” she said. “The thing that always seems to work is not a big government program…but creativity … in the classroom.” Fiorina stressed that children also need an involved parent and skilled teacher. “I think what we have today for example unfortunately is Federal Government money is being used to pick winners and losers, so you see a program like Race to the Top being used to determine, ‘well, you’re doing it the way we want you to do it, so you get more money.’” Fiorina added, “More federal money ought to flow out of Washington D.C. and into the states” then the state’s money to the community. Fiorina was asked if she does think students need a form of accountability. “We need accountability. We need to understand who we are competing against,” Fiorina said, in terms of making sure American children are educated at the same level, if not above other countries. “That’s very different than a federally mandated program around how to teach and how to learn with money attached to it and that’s what common core has become,” she clarified, saying teachers shouldn’t feel like they are teaching for a test. “I see this with my granddaughter,” she said, referencing the increasing number of testing students face. Teaching to test is a very different thing than “growing up being inspired by the joy of learning,” she said. Fiorina stressed her Republican narrative that America must have “have zero based budgeting in the Federal Government” so that the Department of Education must justify every single dollar spent each year. “It’s why parents need a choice,” Fiorina explained, saying more power needs to leave D.C. and the Department of Education and return to the states and local communities. Fiorina was also asked about the two different education bills in the House and the Senate. “I’m very encouraged by the version that’s in the Republican House,” she said, explaining that it pushes money out and gives community and parents more power, including opting out of testing. She said she hoped that’s the version that is adopted. “We are not just preparing people for a job. We’re not just preparing kids to have purpose…in their lives,” Fiorina said, stressing leaders have to be educating citizens. She said educators have to be building character, adding that children should be exposed to art, music, philosophy and history. “Feed their souls and build their character,” she stressed. Ohio Gov. John Kasich said students’ passion should be fed through education. Fellow GOP presidential candidate Ohio Gov. John Kasich took the stage after Fiorina, and stressed to the audience that education must be pro-passion, in terms of finding what children are interested and how they learn. He gave an example of a student who enjoys working on cars, suggesting that student should get credit for working for a mechanic who could also show the importance of learning math to charge customers. Kasich discussed his Third Grade Reading Guarantee program in Ohio. He said the program is designed to make sure kids could read by the third grade in order to go on to fourth grade. “You learn to read, so you can read to learn,” he explained. He said the program was first met with pushback, but that libraries and communities came together and helped children learn to read and now “performance has gone sky high.” He said if kids can’t read, that’s the biggest reason for dropping out. He was asked if he supports common core. Kasich suggested that the label of common core has been attacked, but that it is important to understand some of the aspects behind the standards, saying students across the country ought to have the same opportunities including high standards. “We should have high standards,” he explained, saying curriculum should be developed by local school boards with parent input, not by the President of the United States. “I don’t support Washington … there is no substitute for higher standards… at the end of the day, we have some testing …if I were president, I would want to travel across the country to state legislatures… so we practice best practices,” he said, suggesting states should learn from one other’s successful programs. In terms of the power and money from the Department of Education, Kasich said, “We have to make sure that education money goes to educate.” He explained that “we need to begin to transfer money and influence and power” where it would be more effective where students live. “Education is about unlocking this brain” to discover the world “stimulating us to think and do better,” he argued. Kasich suggested that mentoring is a way to get children out of the cycle of dependency. “We have to hold up the profession of teaching,” Kasich also stated, comparing the pay rate of college football coach who receive millions of dollars to teachers who are paid “peanuts.” He also said the “last one hired, first one out” policy must be changed in order to maintain quality teachers. Like Bush and Fiorina, Kasich said technology could get kids fired up about learning. “Why don’t we give them devises to learn on,” he suggested, adding why don’t we develop teachers that are going to be coaches for kids to develop the individual ways of learning, saying that only the status quo stands in the way of these ideas. Gov. Scott Walker touts school choice and bashes collective bargaining union contracts. “Every child deserves access to great education,” Walker told Brown, saying that education may be in a pubic school, charter school, home school, virtual school or wherever. He said a lot of great schools come in many different forms, but the barriers of regulations out of Washington D.C. and the federal government, as well as teacher unions have created barriers on education. Walker said if elected president he will be “tearing down those barriers” one after another. He argued the barriers of regulations from the federal government harm a teacher’s ability to effectively teach. “Wonderful teachers – the more we can let them do… the better off we are,” he stated. Walker cited parental surveys that show the satisfaction levels increased with the choice option. He said schools now and taxpayers actually elect those they want to run those schools. “They can actually go out and hire and fire based on merit,” he explained, emphasizing no seniority based on tenure. “All the good teachers know…who steps up and does a good job…since our reforms the couple that don’t aren’t there anymore,” he said, which he believes lifted a weight off of the system, saying he even had some teachers whisper “thank you” to him for his reforms. “They know I’m not intimidated…I’m going to do what’s right for my state – including the children in my state,” Walker said, vowing to do that nationally too if elected president. Walker recalled how one teacher was named “Outstanding New English Teacher of the Year” but ended up being the first one to be laid off, hitting against the idea that last in, is first out. Walker used that story to attack collective bargaining union contracts, saying the union contracts are what cause this to happen to good teachers. Walker said teachers shouldn’t have to worry about a union contract, but instead, “actually find out what we’re going to do in the classroom” and stop worrying about union contacts and more about what takes place in the classroom. “The people are responsible for holding the governors accountable,” Walker said when Brown asked how as president, Walker would hold governors accountable on higher standards without common core, or federal government standards. He said he wants to “empower the states to go out and be the innovators” in terms of educational reform. Walker said all students need to be lifted up, especially those who have skill sets – not just those wanting to be doctors or lawyers. “We need people who are prepared in all sorts of different careers,” he explained. “The evolving number of careers … more often than not require a two year associate degree…and there’s great careers there.” He added that this premise also helps combat increasing student debt. Louisiana Gov. Bobby Jindal said school choice and competition are the keys to educational reform. Brown grew up in Louisiana and said exciting and inspiring things are happening there under Jindal’s leadership. With the tenth anniversary of Hurricane Katrina approaching next week, she asked Jindal to explain how the hurricane spearheaded the educational reform in his state. Jindal explained that before Hurricane Katrina some schools had no bathroom supplies, no classroom supplies, and safety concerns. “There was so much endemic and systemic corruption,” he explained. “It is hard to overstate how bad the public school system was,” adding that more than 60 percent of the students were going to failing schools and a little over half actually graduated. “You had children trapped in failing schools,” he explained. “There are lessons I think that could be applied everywhere across the country,” he said of the education changes made in New Orleans following Katrina. First, the state realized it doesn’t have the capacity or the desire to operate every one of the schools, so instead the state chartered those schools, explaining that now, “almost every student… are in charter schools” because of that decision. He said this charter school system became a laboratory for experimentation and innovation as it also decided what teaches to hire, not just based on seniority, but started from scratch so charter schools were able to hire the best and the brightest, not just those that have been there the longest. He said the second critical decision was getting school choice involved, “Every child learns differently,” Jindal explained, saying choice and competition works. The third critical step Jindal said about reforming the system was that, “New Orleans is a 100 percent choice city” meaning every parent decides where their children go to school. Jindal gave examples of how he proves that choice and competition work in education. He said that now less than 10 percent of students are in failing schools compared to 60 percent before Hurricane Katrina. He added that 50 percent of students used to graduate, but now that increased to 70 percent. “Children only grow up once, if we don’t give them a great education, it’s too late tomorrow,” Jindal stated, saying education reform isn’t about the adults, it’s about the children. “If you had to pick one thing to do… I would emphasize choice and competition, let the dollars follow the students,” Jindal said on the one key to reform the current system. He said on Common Core, “I liked the concept” of what was told about what common core was going to be, for example, parents and university experts thought they were going to have input. He said his first concern was that: “Philosophically, I’ve never believed in a federal government role” in curriculum and decisions that should be at a local level. “This was like Obamacare, you had to pass a bill to know what’s in it,” he joked about Common Core. He said his second concern is that with the Obama Administration in charge of teaching American History, Jindal said he thinks it would focus on America’s failures. “The unions actually endorsed Common Core,” Jindal recalled. Yet a majority of teachers are frustrated with it. Jindal said what Common Core boils down to is Americans either think local communities are smart enough to set standards or Americans think people in Washington D.C. are smarter, so they should set the standards. Jindal said there should be “more flexibility” in terms of testing. For example, if a school is doing well, then it should be given more flexibility on testing schedules. On technology, Jindal said that not all children will learn with an online program, but that some technology “unlocks the potential” for some students to be given a different way to learn. New Jersey Gov. Chris Christie said parents deserve more choice and kids should be the priority during educational reform. Gov. Chris Christie took the stage after Jindal and was asked to define the problem with education in his own state where New Jersey has poor students falling way behind affluent students. 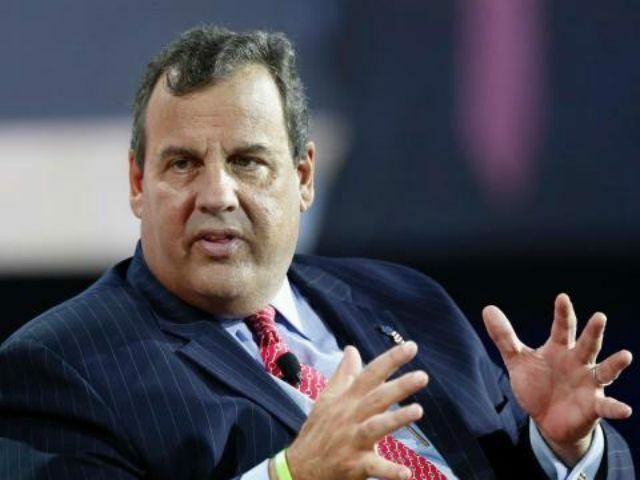 “We don’t have cooperative members of the educational establishment,” Christie said. He explained that four of the top five best high schools in America are in New Jersey in terms of test scores and preparing for college. Unions and educational establishments know that fixes to the educational system takes apart the monopoly they have on education, he argued, saying it is either parents or unions who will run education and the achievement gap can’t be fixed until it’s decided who is running education – the parent or the union. Christie discussed Camden, New Jersey, which is one of the poorest, toughest cities in the country, but where education is changing. “It is the combination of a cooperative political group down in Camden,” he explained. There are now more charter schools. Christie said he closed failing public schools, reduced teachers there and administrators. “Leadership matters in this,” he explained about educational reform. In Newark, New Jersey, Christie said teachers are not paid almost exclusively on merit anymore. He’s previously said teachers’ unions need a political punch in the face. “I still have the obligation to work with them,” he said, but adding the unions must give respect in order to prevent unions from pushing others around. “Parents deserve more choice and kids priority should be placed ahead of the comfort of adults,” Christie said of his priorities on education. Christie said America needs a longer school day and a longer school year. “We need to spend more time in the classroom,” he argued, because American students are falling behind the rest of the world . He emphasized the need to “personalize education” using technology to help children learn, especially those with disabilities. “Every kid should have an iPad in this country” instead of huge backpacks filled with heavy, outdated books, he explained. He emphasized that the federal government shouldn’t dictate curriculum because people on the ground know how to educate the children in their area better than officials in Washington. “I did it for four years,” he said, adding that parents felt that decision making authority for their children was being taken away from parents and teachers, especially that creativity as a teacher was taken away through Common Core. He said it is important that strong teachers like that remain in the schools and in order to do so greatness must be rewarded as it is in other professions. “The tenure system…does nothing to reward excellence,” he stressed.